Audi, with the fully electric „Audi e-tron Vision Gran Turismo” concept car, now returns for electric mobility, with the tangible experience in a unique way. The new model originally developed exclusively for virtual races (GT SPORT) on PlayStation 4, as many manufacturers have already joined to the Gran Turismo Vision, and so they made concept cars like the Chevrolet Chaparral 2X Vision Gran Turismo or Mercedes-AMG Vison GT, and much more other concept cars. 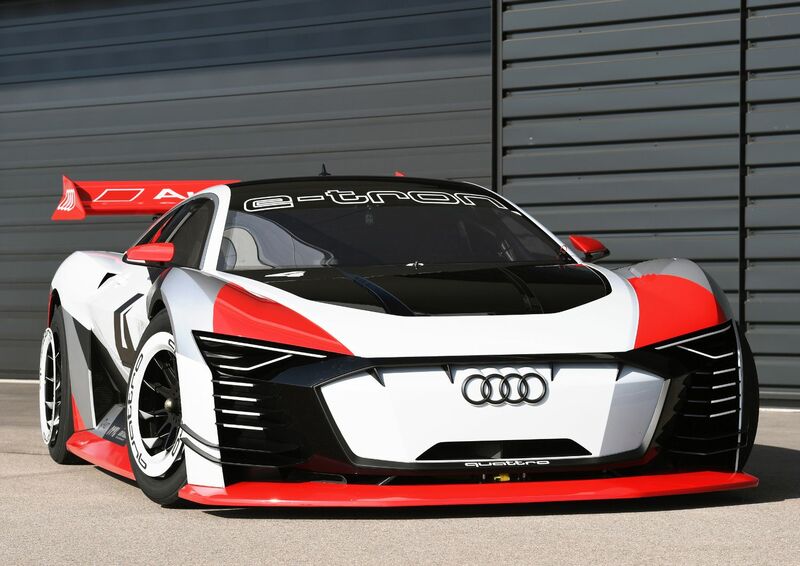 The Audi is making the new race car reality in conjunction with Formula E. Starting with the race in Rome on Saturday, April 14, the Audi e-tron Vision Gran Turismo will be deployed as a race taxi. “E-Mobility is rapidly gaining importance,” says Peter Mertens, Member of the Board of Management, Technical Development, AUDI AG. “That is why in 2017 Audi was the first German manufacturer to enter Formula E with a factory-backed commitment. In our development laboratory motorsport, we are continuously expanding our expertise in e-mobility and gathering valuable experience also in extremely demanding conditions. With the Audi e-tron Vision Gran Turismo race taxi we are turning electric mobility into a tangible experience for our customers and guests as part of the Formula E races – in the middle of the world’s metropolises.” The customers and guests of the brand with the four rings will be able to experience Formula E’s city circuits as passengers in the Audi e-tron Vision Gran Turismo starting at the race in Rome (April 14). 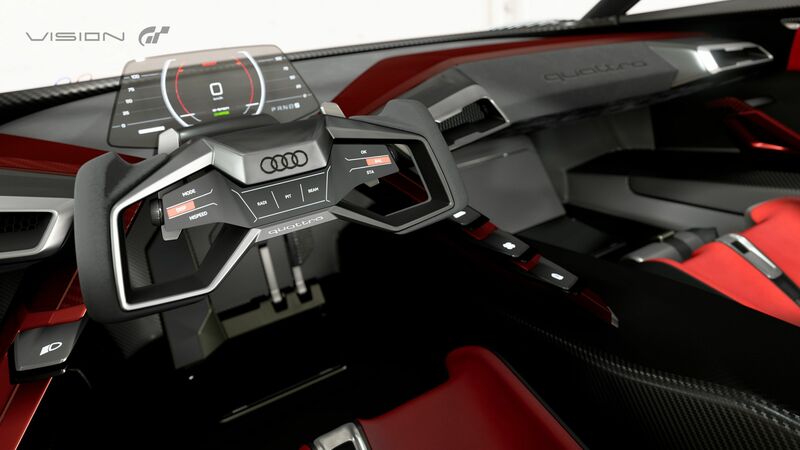 Employees at Audi’s pre-production center developed and produced this one-of-akind car within the space of just eleven months based on the example of the Audi e-tron Vision Gran Turismo from the “Gran Turismo” PlayStation game. The million-selling “Gran Turismo” game has long acquired cult status with gamers around the globe. 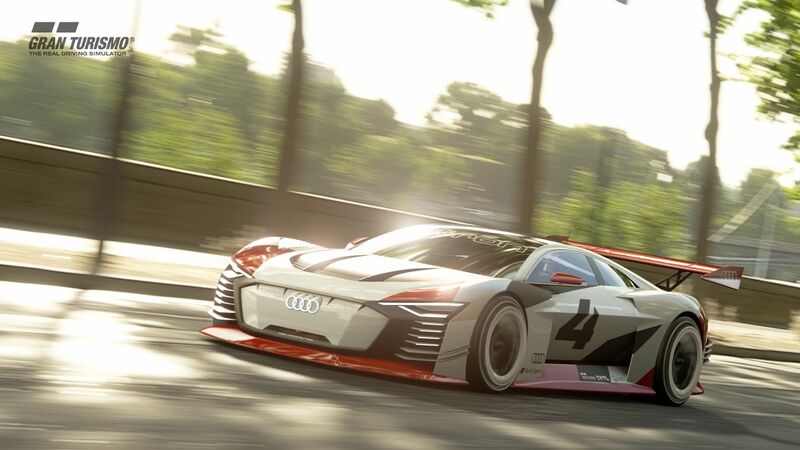 Audi has been working together with Sony and Polyphony Digital – the creators of “Gran Turismo” – for nearly 20 years. 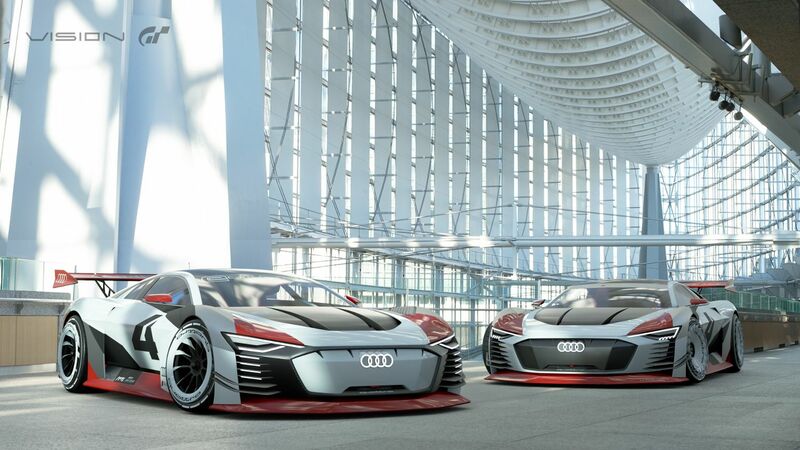 Audi designers created the Audi e-tron Vision Gran Turismo for the “Vision Gran Turismo” competition that was launched on the market on the occasion of the popular game’s 15th anniversary. Numerous automobile manufacturers developed virtual race cars for the contest. Many of these concept cars were subsequently built as full-scale models as well and presented at trade shows. 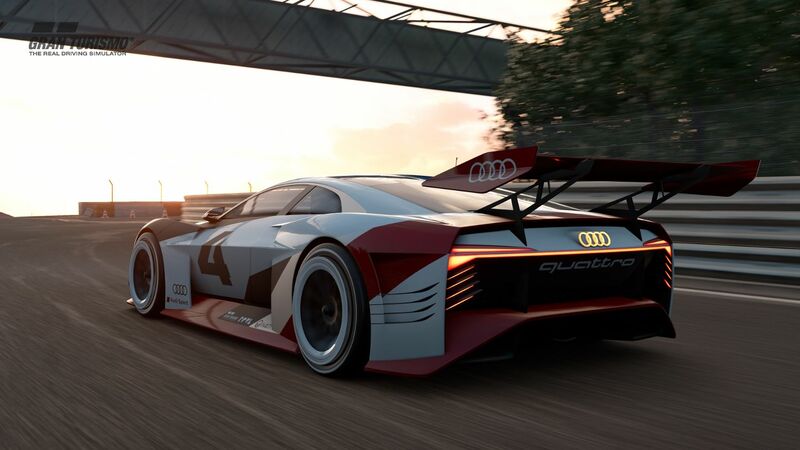 The Audi e-tron Vision Gran Turismo, however, is the first concept car of this range to be deployed to real-world race tracks as a fully functional vehicle. 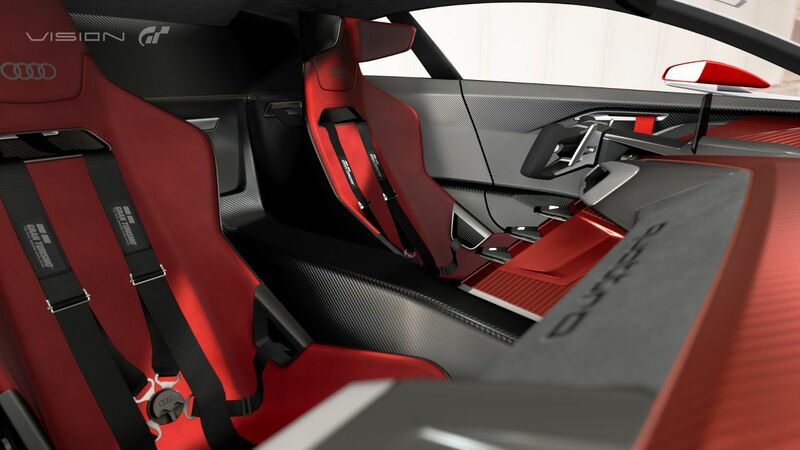 “This is what we are particularly proud of,” says Audi’s chief designer Marc Lichte. 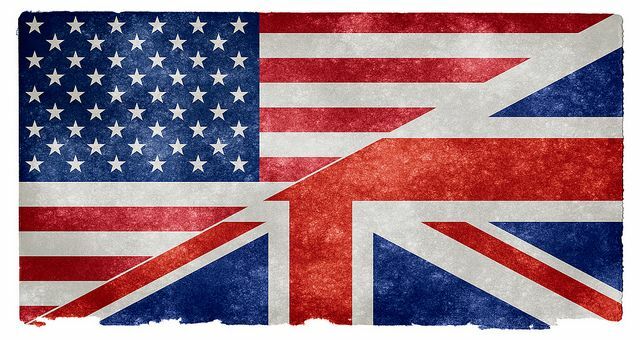 “Although the design of a virtual vehicle allows much greater freedom and the creation of concepts which are only hard to implement in reality, we did not want to put a purely fictitious concept on wheels. Our aim was a fully functional car. The Audi e-tron Vision Gran Turismo shows that electric mobility at Audi is very emotive. 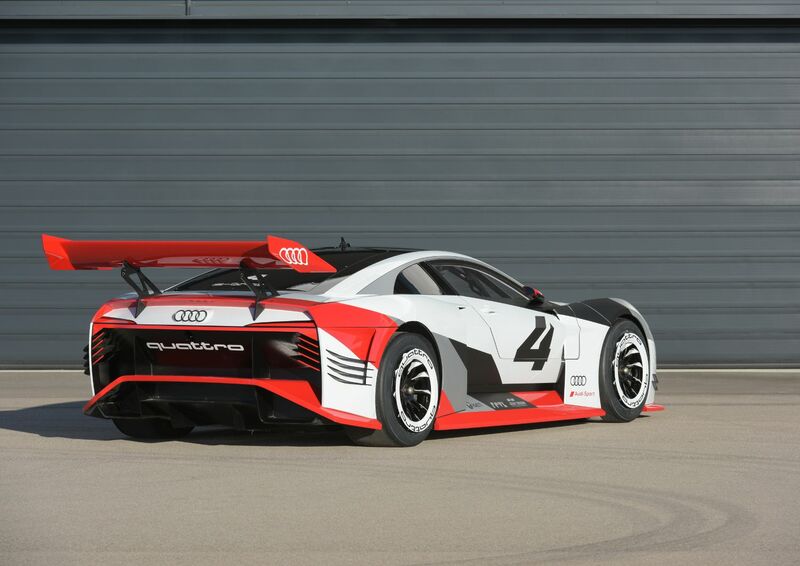 This car incorporates numerous elements of our new design language such as the inverted single frame in the vehicle’s color that will be typical for our new e-tron models.” Audi has deliberately taken up design elements and the color of the legendary Audi 90 quattro IMSA GTO with which the company in 1989 thrilled motorsport fans in the North American IMSA-GTO racing series with drivers like Hans-Joachim Stuck, Walter Röhrl, Hurley Haywood and Scott Goodyear. Featuring a combination of systematic lightweight design and quattro drive paired with a powerful five-cylinder turbo engine, the car was far ahead of its time back then. The Audi e-tron Vision Gran Turismo has permanent all-wheel drive as well, the fully electric etron quattro all-wheel drive with variable power distribution. Three electric motors, each with output of 200 kW, propel the concept car. Two electric motors drive the rear axle and the third one the front axle, using individual components from the future Audi e-tron. System output is 600 kW (815 hp). With a curb weight of 1,450 kilograms the electric race car has a power to weight ratio of 1.78 kilograms per horsepower with ideal 50:50 percent weight distribution between the front and the rear axle. The Audi e-tron Vision Gran Turismo accelerates from 0 to 100 km/h in less than 2.5 seconds. The futuristic race taxi will be deployed at all European Formula E races and numerous other events in 2018. At the wheel will be former DTM driver Rahel Frey from Switzerland or Le Mans winner Dindo Capello from Italy.